Because of the overwhelming importance of Machu Picchu in the southern part of Peru, the northern part of this large country is not as heavily traveled. 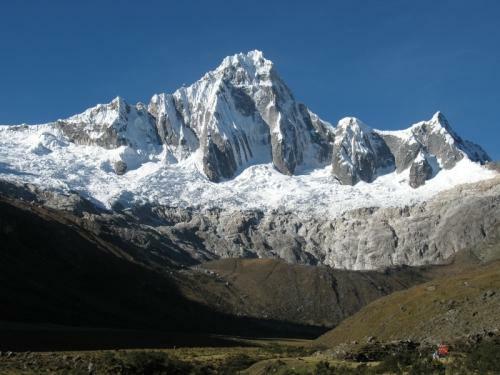 However, those traveling to Peru for hiking and communing with nature will not want to miss the Huascarán National Park, located in the northern Cordillera Blanca mountain range. The mountains are just one aspect of the breathtaking scenery to be enjoyed here. There are over 100 glacial lakes, waterfalls, streams, tundras, orchids and a wide variety of other vegetation. Among the vast diversity of wildlife include hawks, ducks, giant hummingbirds, condors, pumas, deer, vicuna and spectacled bears. In 1985, Huascarán national park was declared a World Heritage Site. The starting destination for exploring the park is the city of Huaraz, located about 400 km from Lima and reached by an 8-hour bus ride. From here, hiking and climbing tours can be arranged, gear can be rented and transportation to trailheads can be secured. There are day hikes available as well as treks of up to ten days or longer. 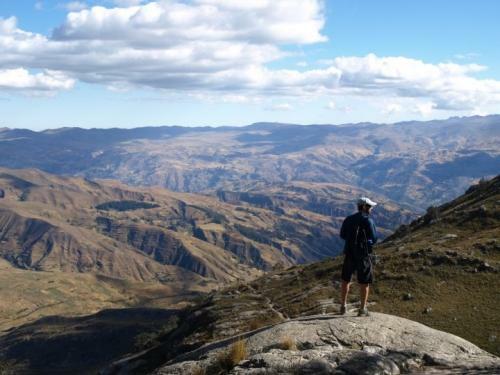 It`s a good idea to spend some time around Huaraz to acclimate to the altitude before setting out on a longer trek. Mountain biking, rafting and skiing are also possible activities. The park is an ideal place for mountain climbing and, unlike many such destinations, there are tours for all levels of expertise, from beginners to highly experienced. That being said, there are some glaciers that will only be accessible by those with experience and skill. Of the large number of possible trails, one of the most popular is the Santa Cruz which is usually done in four to five days. This trek is easy to moderate in difficulty and, due to its popularity, there are regular campsites and pit-style toilets along the way. This offers some of the best views of snowy mountains, beautiful pastures and lakes of an indescribable turquoise blue. Those wanting something a bit more challenging can consider the Los Cedros Trek which will typically take about ten days. Due to the length and somewhat greater level of difficulty, this trail is not as highly travelled, allowing you to have the beauty of the park practically to yourself. It`s generally best to plan travel here during the dry season, from May through September. Keep in mind that, although trails may not be difficult in terms of terrain, the altitude can affect even the most seasoned trekker. It is impossible to predict how difficult acclimating will be for any individual, regardless of age, health or fitness. This is one reason that it can be helpful to use a tour agency so that there is an experienced guide on hand to recognize altitude sickness and be able to deal with it. It is possible and easy to find your own trek operator and guide upon arrival. Alternatively shop around for the best rates and service quality in advance and find a specialist in Peru adventure tours, such as this leading provider of trips to Peru.